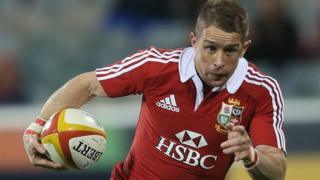 Wales rugby legend Shane Williams will appear in court next month after being charged with affray. Wales' all-time leading try-scorer is one of six men facing the charge, relating to an alleged incident in Cardiff city centre. South Wales Police said: "Six men have been charged with affray following an incident on Great Western Lane, Cardiff, on 2 December 2017." The men will appear at Cardiff Magistrates' Court on 9 March. South Wales Police said the other men who have been charged were aged 26, 32, 37, 42 and 53. Former wing Mr Williams, 40, who also went on three tours with the British and Irish Lions, now works as a TV pundit.